Made with delicious, crispy chips, warm melted cheese and a vast array of toppings, nachos are a beloved American comfort food. Chefs across the nation are updating this classic snack with genius new toppings and textures. 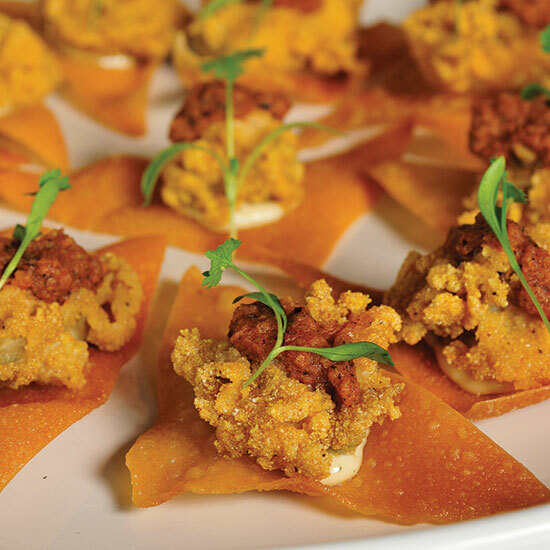 From one-bite nachos featuring Plump Gulf oysters at Max’s Wine Dive in Dallas (left), to vegan nachos made with pecan “chorizo” at Blossoming Lotus in Portland, the results are fantastic. Check out F&W’s new slideshow for America’s most innovative nachos.